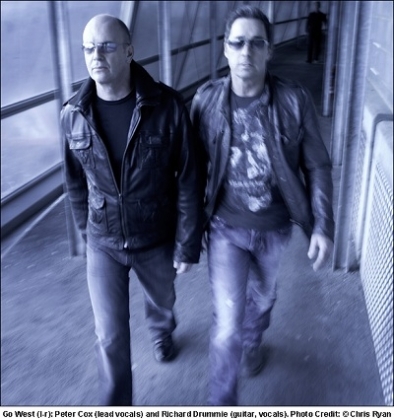 Go West will embark on their 10-date “3D” UK tour on 7th December, culminating at O2 Shepherd’s Bush Empire on Thursday December 22nd. The tour will coincide with the release of their new studio album, “3D”, released during the lead up to Christmas. The duo, comprising of Peter Cox (lead vocals) and Richard Drummie (guitar, vocals), are best known for their global smash hit singles We Close Our Eyes, Call Me and The King of Wishful Thinking. The first two singles originally appeared on Go West’s 1985 eponymous debut album that sold over 1.5 million copies in the UK. Legendary record producer Arif Mardin once described Go West’s sound as “Modern Motown.” The band also scored massive hit singles with the songs Goodbye Girl and Don’t Look Down. On the Couch, including the Top Ten hit singles True Colours, I Wanna Hear It From You and The King Is Dead. The winners of ‘Best British Newcomer’ at the 1986 BRIT Awards, Go West will also perform their massive 1990 hit The King Of Wishful Thinking, the opening song from the hugely successful Julia Roberts and Richard Gere Hollywood blockbuster ‘Pretty Woman’ (the soundtrack album sold over 12 million copies worldwide and the song was one of the most played songs in America from 1991-1992). The UK tour follows the release of ‘Frame By Frame’, a compilation DVD that includes all the bands’ videos for the very first time, which recently charted #5 in the official UK DVD chart.